Growing your own large plants, such as apples, peaches and cherries, can be incredibly rewarding and make for some beautiful pies and pastries! Our selection of top fruit plants at Imberhorne Lane Nursery have been individually cared for by our staff to ensure they’ve had the best start in life and are ready to be maintained by customers and produce bountiful fruit. With a wide range of apple fruit plants and trees available, you can incorporate fruit-bearing plants into your home and garden, regardless of the space you have available. Some of our top fruit plants are trees, some shrubs in need of a garden plot, whilst other smaller fruit plants can be potted on a balcony or patio if you haven’t the space. 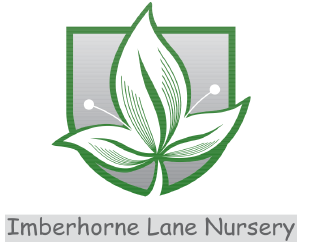 Contact us today here at Imberhorne Lane Nursery to discuss your purchase of top fruit plants from ourselves. With years of experience under our belt and a genuine passion for all things gardening, you will be able to find the answers to any green-fingered queries you may have for us. Simply pick up the phone or drop us an email today to find out more about the individual top fruit plants we have to offer here. We have all the knowledge to assist you in achieving the best results from your fruiting plants and all the other species of plant or flower we have within our selection at Imberhone Lane Nursery.